SgtMaj Walter Baldwin, Anbar Province, Iraq. December 2007. Sergeant Major Walter Baldwin (Ret.) attended Recruit Training at Marine Corps Recruit Depot, San Diego, California, in September 1983. Graduating as a PFC in December 1983, he attended Infantry Training School and was assigned the 0351 MOS. PFC Baldwin then reported to Marine Barracks, Naval Weapons Station, Concord, California, and held the billets of Sentry, Corporal of the Guard and Sergeant of the Guard. PFC Baldwin was Marine of the Month for June 1984 and LCpl Baldwin was meritoriously promoted to Corporal on 2 Dec 1984. Cpl Baldwin reported to 2nd Bn, 1st Mar in April 1986. He was assigned to Weapons Company, Dragons Platoon where he held the billets of Team Leader and Section Leader. Upon return from deployment, Cpl Baldwin was assigned to the Weapons Company armory as NCOIC. After 2nd Bn, 1st Mar redesignated to 1st Bn, 4th Marines, Sergeant Baldwin was assigned to the Heavy Machinegun Platoon where he served as Section Leader and Platoon Sergeant. In 1990, BLT 1/4 was sent to Southwest Asia and participated in Operations DESERT SHIELD and DESERT STORM. Sgt Baldwin reported to DI School, MCRD, San Diego, California, in October 1991. Upon graduation, he was assigned to Company “I”, Third Recruit Training Battalion, where he served as a Drill Instructor and Senior Drill Instructor. At the completion of a successful tour, SSgt Baldwin reported to 2nd Bn, 9th Mar for duty in January 1994 and was assigned to Company “G”. In November 1994, 2/9 was redesignated as 2nd Bn, 4th Mar. He held the billets of Machinegun Section Leader, 3rd Plt Sgt, 3rd Plt Commander, Wpns Plt Sgt and Wpns Plt Commander. 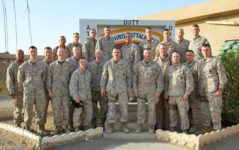 In November 1998, BLT 2/4 deployed as part of the 31st MEU to Kuwait for Operation DESERT FOX. GySgt Baldwin reported for duty to the Staff Noncommissioned Officers’ Academy, Okinawa, Japan, in August 1999. He served in the following billets: Instructor/Advisor Advanced Course; Chief Instructor Career Course; SNCOIC Sergeants Course and SNCOIC of Academics. GySgt Baldwin was selected as Instructor of the Year for Academic Year 2000 and was a recipient of the Rose Award for Teaching Excellence. 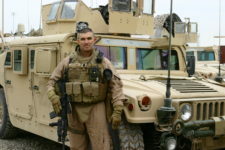 First Sergeant Baldwin reported to Combat Assault Battalion (CAB) in April 2003, where he was assigned as the First Sergeant of Combat Engineer Company (CEC). In October/November 2003 CEC deployed with 2d Bn 6th Marines for Operation Forrest Light with the Japanese Ground Self Defense Force. In 2004 he deployed with the company to Cobra Gold & KITP. In September 2004, 1stSgt Baldwin was reassigned to H&S Company and deployed with the company to Camp Fuji. In April 2005 1stSgt Baldwin reported to Marine Barracks Washington and was assigned as the First Sergeant of United States Naval Academy Company. He was reassigned to H&S Company in October of 2005. 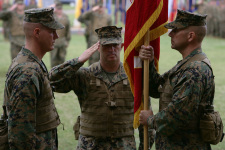 Sergeant Major Baldwin reported to Third Battalion, Third Marines to assume duties as Battalion Sergeant Major, 4 March 2007. 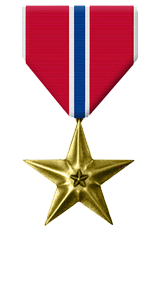 Sergeant Major Baldwin’s personal awards include the Meritorious Service Medal, Navy and Marine Corps Commendation Medal with gold stars in lieu of second and third awards, and the Navy and Marine Corps Achievement Medal with gold stars in lieu of second and third awards. Battalion Staff. Camp Fallujah, Iraq. December 2007. SgtMaj Walter Baldwin. Marine Corps Base Hawaii. December 2009. For meritorious achievement in connection with combat operations involving conflict with an opposing force while serving as Sergeant Major, 3d Battalion, 3d Marines, Regimental Combat Team 1, I Marine Expeditionary Force (Forward) from August 2007 to February 2008 in support of Operation IRAQI FREEDOM 06-08 and FY 08. Upon the assumption of an area of operations consisting of more than 550 square kilometers, Sergeant Major Baldwin conducted more than 150 combat patrols to the battalion’s outposts and patrol bases to lead, inspect, and supervise the Marines and Sailors of the battalion. Constantly maintaining a forward presence and sharing the daily hardships and hazards with his men, he focused on improving tactical employment, enforcing discipline and standing operating procedures, and disseminating lessons learned throughout the unit. 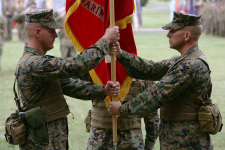 His emphasis on recognizing the positive tactical actions of Marines and Sailors that reinforce the principles of successful counterinsurgency operations had a significant impact on morale and cohesion across the widely-dispersed units of the battalion. His simultaneous focus on leadership development of all ranks in the midst of combat operations greatly enhanced mission accomplishment by increasing the decision-making ability and maturity of our young leaders in the complex counterinsurgency environment. His efforts directly impacted the battalion’s ability to foster peace and stability in eastern Al Anbar Province during this critical period of the war. Sergeant Major Baldwin’s total effectiveness, forceful leadership, and loyal devotion to duty reflected great credit upon him and were in keeping with the highest traditions of the Marine Corps and the United States Naval Service.